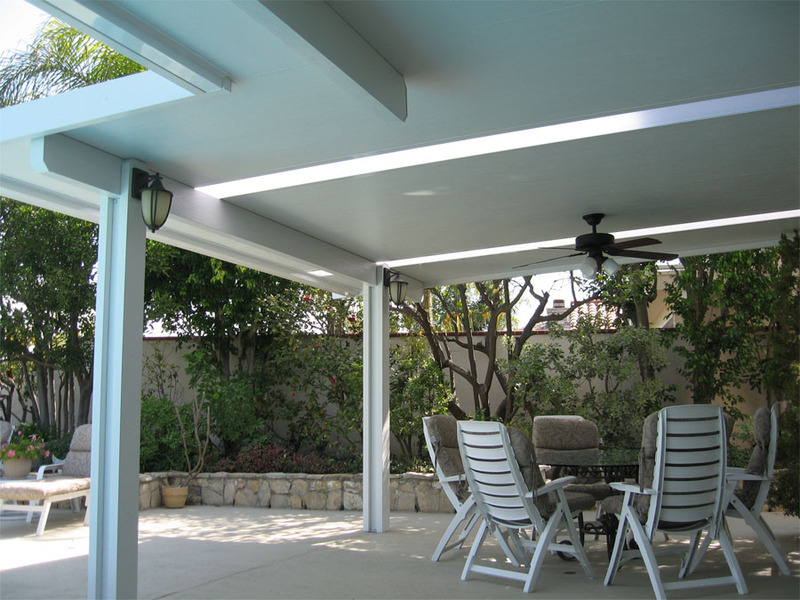 Solid Patio Covers | Canopy Concepts, Inc. 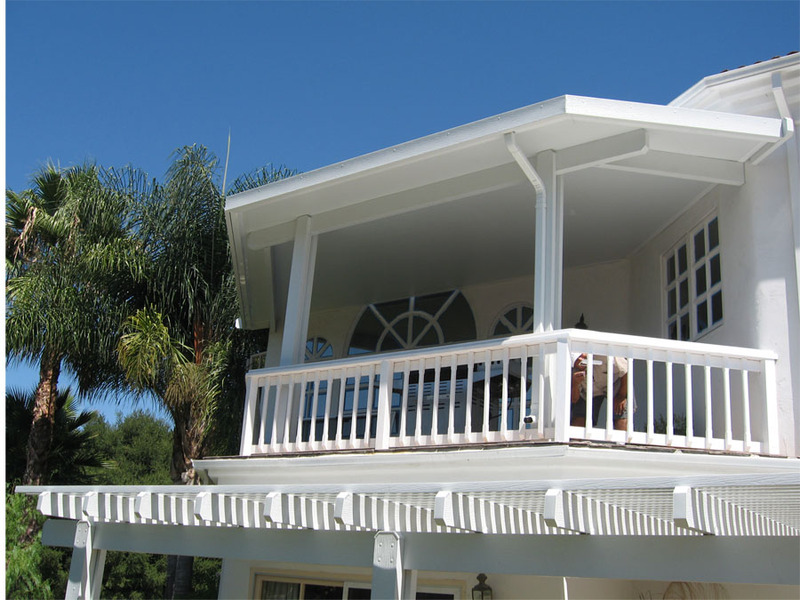 When you want maximum protection from the elements, nothing will do but a solid patio cover from Canopy Concepts. 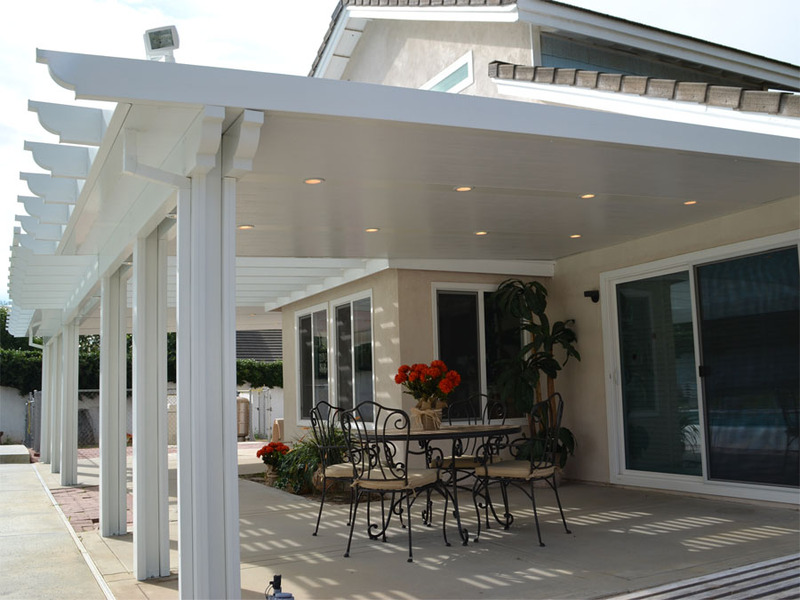 Our beautiful and durable patio covers will be providing you and your family with shade and comfort for decades to come! 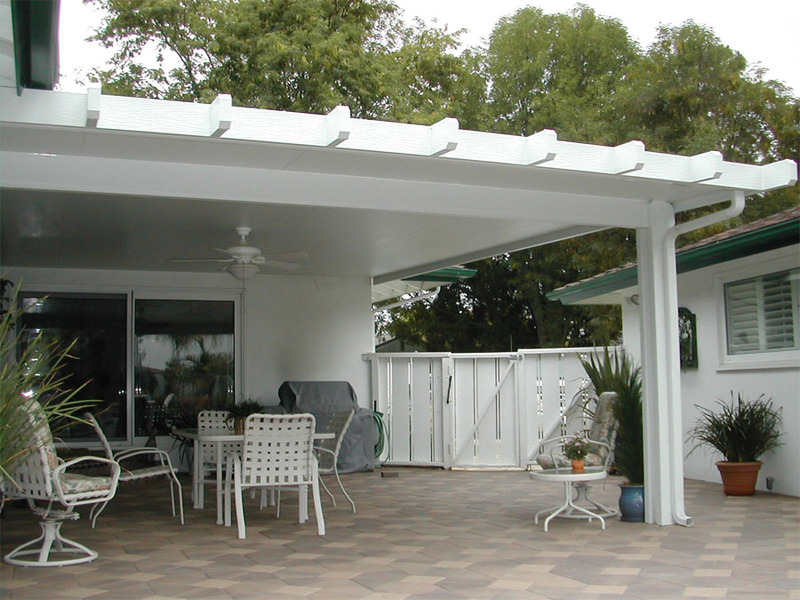 Our most popular style of solid patio cover is our “flat pan” design. Featuring our beautiful deep grain texture, this solid cover has all of the aesthetic appeal of real wood, with the added bonus of not being susceptible to all the problems of real wood. No need to worry about painting, rot, termites, or anything wood-related! When you want some added protection for you solid patio cover, you can purchase your cover with theMetals USA, Allmet Elitewood Kynar® finish. The prefinished aluminum covers are superior to any others on the market, boasting decades of durability and beauty that will last a lifetime. Choose from five stunning colors.